Getting into the backcountry often requires more than a sedan. Outdoor adventures typically need vehicles with high clearance, grippy tires, plenty of space, a versatile drivetrain, and enough power to push through inclement road conditions. Whether you’re needing a versatile ride for car camping or a rough-and-tough rig to go rock crawling, here are the top 10 cars for outdoors enthusiasts. The Jeep Wrangler is king of the off-roading landscape. The brand has more than 70 years of rugged experience, dating back to field use in World War II, and the Wrangler is always up for any challenge thrown its way. To be the ultimate off-roading machine, the Jeep Wrangler combines high ground clearance, powerful low-range function, impressive approach and departure angles, and arguably the absolute best four-wheel-drive system on the market. The Subaru Outback is an excellent vehicle for car camping and modest off-road excursions. The Outback comes standard with 8.7 inches of ground clearance, an integrated roof rack, under floor storage and a best-of-class all-wheel drive system. The Outback is a great option for people who want a spacious, comfortable daily driver that also can handle its own in the great outdoors. The Toyota Tacoma thrives in rough terrain, especially with a TRD package. The Tacoma offers a stiff, unforgiving ride down city dwellers, but its 3.5-liter V-6 engine offers unparalleled off-road performance for a truck in its class. Newer model Tacoma’s are equipped with burly Fox shocks, a wide stance and 9.4-inch ground clearance, which beckon drivers to explore the surrounding terrain. For more serious off-roading adventures, the Tacoma is equipped with hill start assist and hill descent control, a locking rear differential, sport seats, and skid plates. Toyota’s FJ Cruiser is a striking SUV that is a more at home on rough, muddy backcountry trails than narrow, winding city streets. In all regards, the FJ Cruiser embodies the purposes of a traditional SUV. The FJ Cruiser’s sturdy frame comes with either 4×2 and 4×4 configurations and has 9.6 inches of ground clearance. Unlike many mid-size SUVs, the FJ Cruiser can easy ford streams, climb embankments and zoom over rocky dirt roads. Jeep Grand Cherokee, particularly the Trailhawk edition, shuns traditional SUV comforts and instead embraces a rough-and-tough attitude. The Cherokee also comes with a signature feature called the Quadra-Drive II air suspension, which increases ground clearance from 8.2 to 10.8 inches at the push of a button. The Cherokee also has a surprisingly comfortable interior and supple suspension for how well it handles off-road driving. Despite the Honda Ridgeline’s truck-like exterior, the vehicle as actually a comfortable crossover with respectable fuel economy and off-road capability. The 3.5-liter V6 engine gets about 24.5 miles per gallon under load, and drives just a bit stiffer than a mid-range sedan. The Ridgeline also features a hidden trunk built into the bed, and a transitional tailgate that can swing either open, like some hatchback SUVs, or down, like a traditional pickup truck. The Ridgeline is an ideal car camping option for people who want the versatility of a truck. The Nissan Xterra has raw rugged appeal. It looks cool, like it was born to love on rough dirt roads and zoom over uneven terrain. The ride is stiff and unforgiving on city streets, and the Xterra gets less than stellar gas mileage, but it wasn’t designed as a daily commuter after all. The Xterra excels for people who need solid off-road traction, adjustable storage capacity, and a modestly powerful engine. Land Rover has the reputation of designing vehicles that conquer just about any type of terrain, and the Range Rover, despite its luxury looks, is no exception. The Range Rover is tough-as-nails on rough backcountry roads, and comes equipped with a fully independent air suspension to make even rutted dirt roads feel (relatively) comfortable. 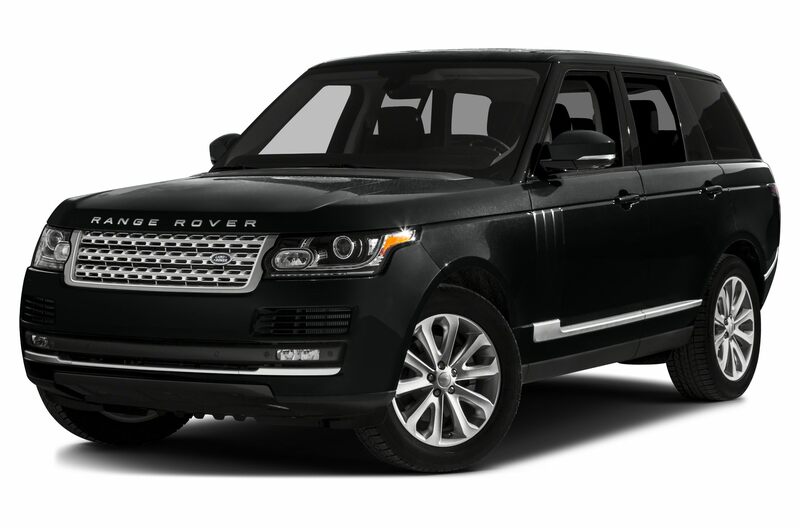 Plus, the Range Rover has steep approach and departure angles, a six-speed or eight-speed automatic, 32.1 cubic feet of cargo room, and a towing capacity of up to 7,716 pounds. The Toyota Land Cruiser remains one of the most popular off-road vehicles around. The Land Cruiser’s large, 381 horsepower V8 engine enables the SUV to handle any steep, muddy or washed out roads thrown its way. 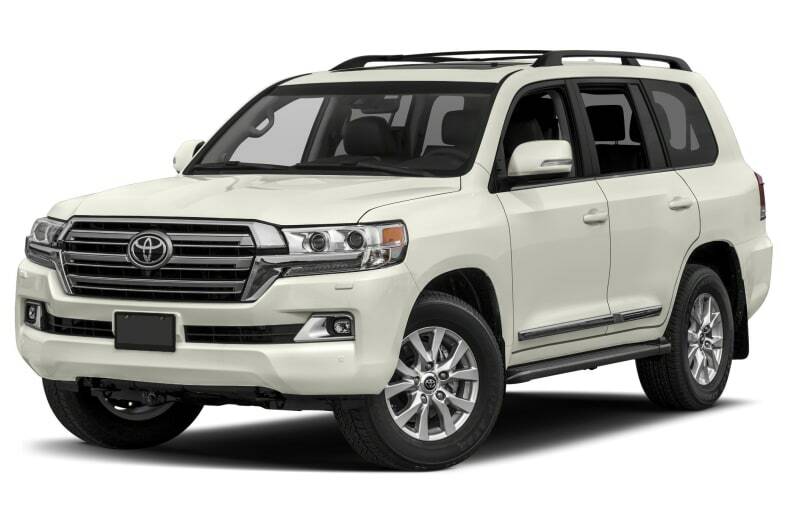 Plus, the Land Cruiser has one of the most versatile suspensions around thanks to its crawl control and innovative braking system. The Ford F-150 is a great option for people who need a vehicle that’s a bit more heavy-duty than a Toyota Tacoma or Honda Ridgeline. The F-150 is often touted as America’s best-selling truck, and the vehicle comes with plenty of trims to satisfy whatever off road tests it might encounter. The F-150 is perfect for people who plan to haul boats, ATVs,a bunch of heavy gear. The F-150’s sheer power can be a little too much for simple weekend camping, but this burly truck can get back to nearly any hard-to-reach spot around for secluded adventures.